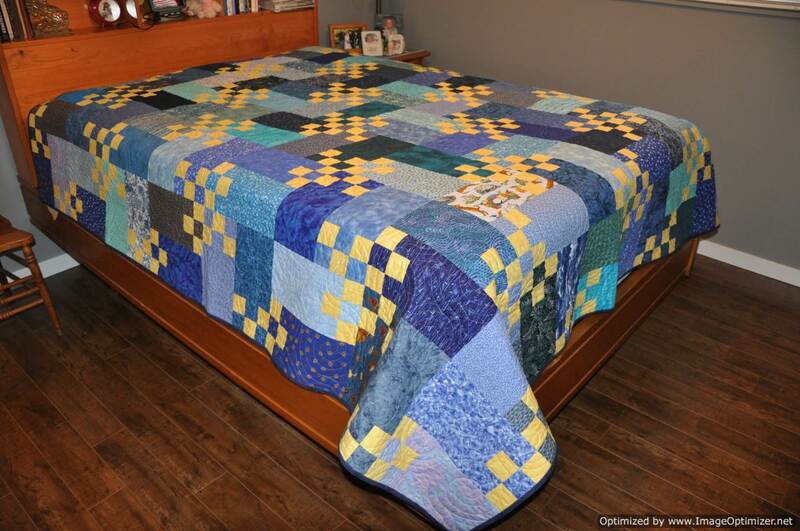 Our guild has issued a challenge this year for our annual Creativ Festival display of quilts to make a quilt from a book that you bought that you haven’t made the quilt from yet. 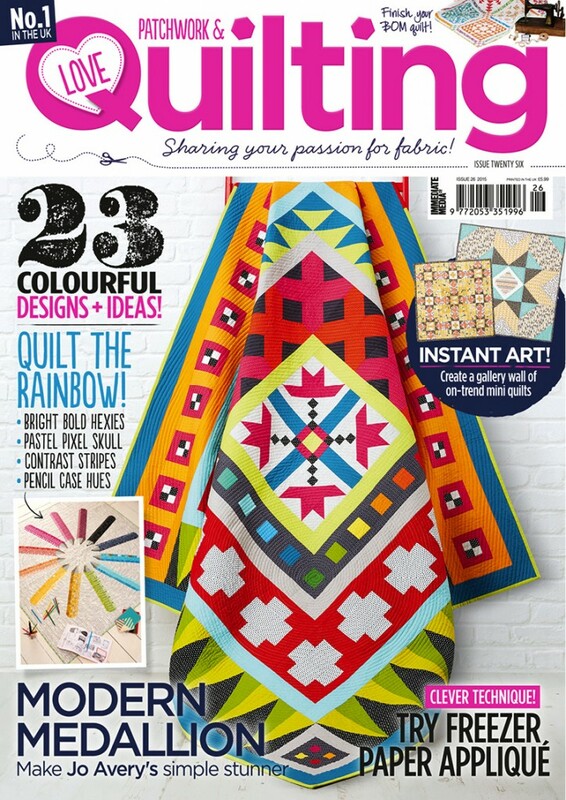 I was going to add the challenge for myself of piecing curves and make Modern Millie but the background I picked and ordered for my quilt was a bit darker than I would have liked when it arrived. 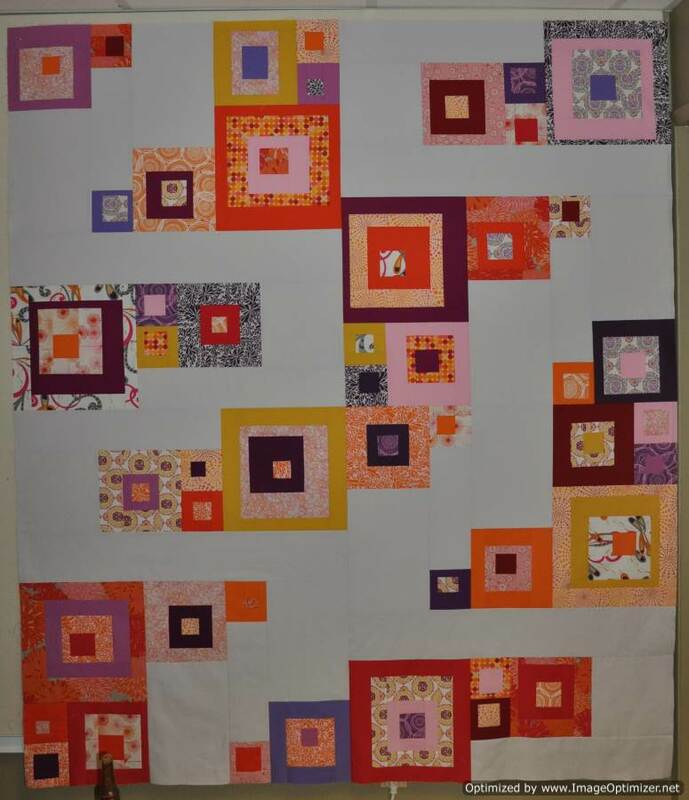 Add in Christmas events, customer quilts, and workshops taking up my time and I started to worry that I would run out of time to complete my entry. I shifted gears towards the completion of a quilt that I had started last summer–Off the Grid. 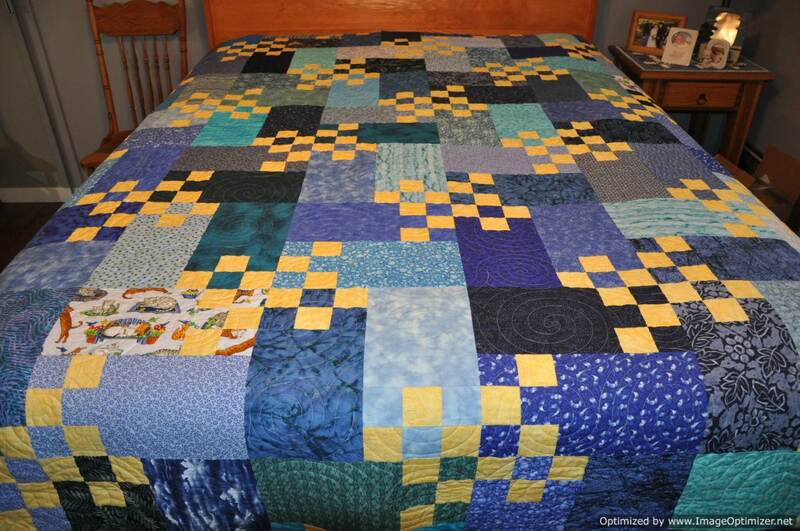 The quilt was created as the Edinburgh Modern Quilt Guild’s Charity Quilt Challege entry for QuiltCon 2015. 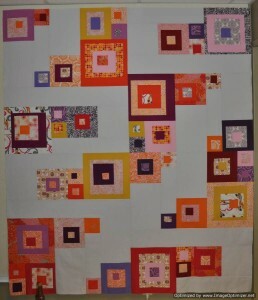 The challenge was to make a quilt using an ‘off-grid’ construction. The EMQG produced their version of the quilt in a random, improv style and Jo Avery produced the pattern for a structured version of the quilt. 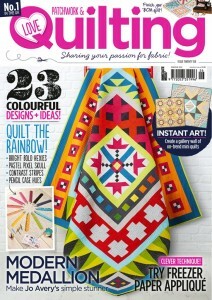 The pattern appeared in the Love Patchwork & Quilting Magazine, issue Twenty Six. My version of this quilt uses a mixture of prints and solids. In 2014, some members of the FVMQG took a bus trip to Sisters, Oregon in July to see the annual Sisters Outdoor Quilt Show. We were able to visit the famous Stichin’ Post, a quilt shop located in Sisters that is owned by Jean and Valori Wells. I purchased two fat quarter packs of Valori Wells’ fabrics as my souvenir of the trip and used them along with coordinating solids in my version of this quilt. Sisters is a very small town with a population of only 2,038 (as of the 2010 Census), located 155 miles southeast of Portland in the high desert. 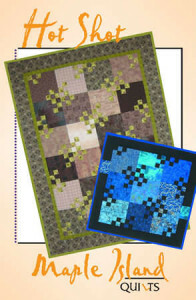 The Sisters Outdoor Quilt Show is internationally recognized as the world’s largest outdoor quilt show displaying more than 1300 quilts representing fiber artists from around the world. More than 10,000 visitors from all over the world flock to Sisters on the second Saturday in July every year to attend this quilt show. 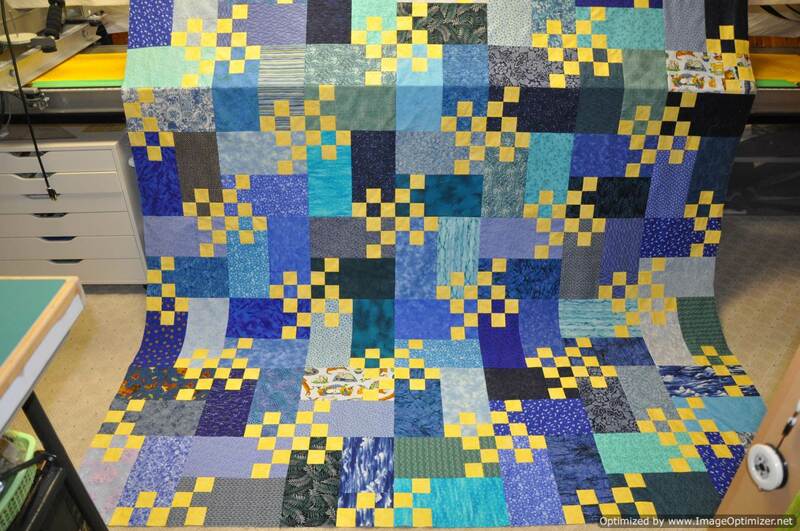 Now I just need to get this quilted and bound by the March 9, 2017 deadline!